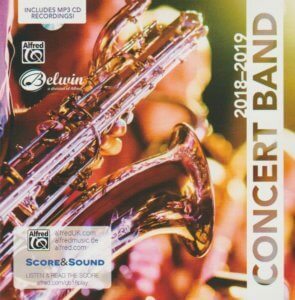 The publishing house Alfred/Belwin (USA) offers a very rounded program in its new program “Concertband 2018-2019“. From the beginner of level 0+ up to the absolutely highest demands of level 5, there is a rich program available. Original compositions by contemporary composers stand alongside popular music, classical transcriptions alongside educational works. I would like to present some highlights here, you will find the entire programme at the end of this information. Oracles of the Sirocco: Sirocco is a Mediterranean wind that comes from the Sahara and can reach hurricane speeds in North Africa and Southern Europe, especially during the summer season. This wind emanates exotic energy, creating feelings of introspection and adventure captured in the mystical messages that seem to reside in the breeze. It arises from a warm, dry, tropical airmass that is pulled northward by low-pressure cells moving eastward across the Mediterranean Sea, with the wind originating in the Arabian or Sahara deserts. The hotter, drier continental air mixes with the cooler, wetter air of the maritime cyclone, and the counter-clockwise circulation of the low propels the mixed air across the southern coasts of Europe. The sirocco causes dusty dry conditions along the northern coast of Africa, storms in the Mediterranean Sea, and cool wet weather in Europe. The sirocco’s duration may be as short as half a day or may last several days. While passing over the Mediterranean Sea, the sirocco picks up moisture; this results in rainfall in the southern part of Italy, known locally as “blood rain” due to the red sand mixed with the falling rain. Many people attribute health problems to the sirocco, either because of the heat and dust along the African coastal regions, or because of the cool dampness in Europe. The dust within the sirocco winds can cause abrasion in mechanical devices and penetrate buildings. Humor in music is not funny! Film music composer Martin Böttcher died at the age of 91. Xandra Zijlstra on A concert without applause? My Dog Sings Too on A concert without applause?